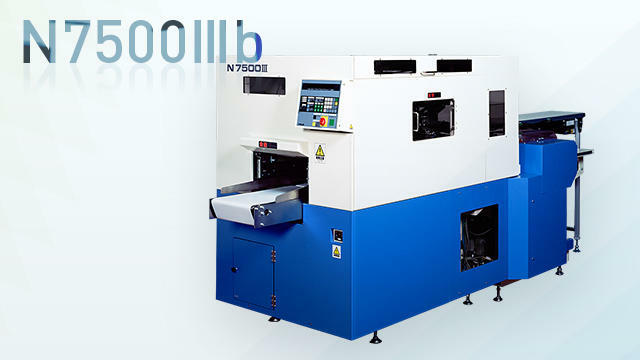 N7500IIIb with makeup box size change of can be quickly | Other | FUJI MACHINERY CO.,LTD. You can register the dimensions of 250 types of cosmetics boxes. Just by entering the correct cosmetics box registration number automatically changes the size in between 1 and 50 seconds.